Our Counting Rocks Construction Set is a fun, hands-on way to practice counting & one-to-one correspondence. Create an inviting space to play! 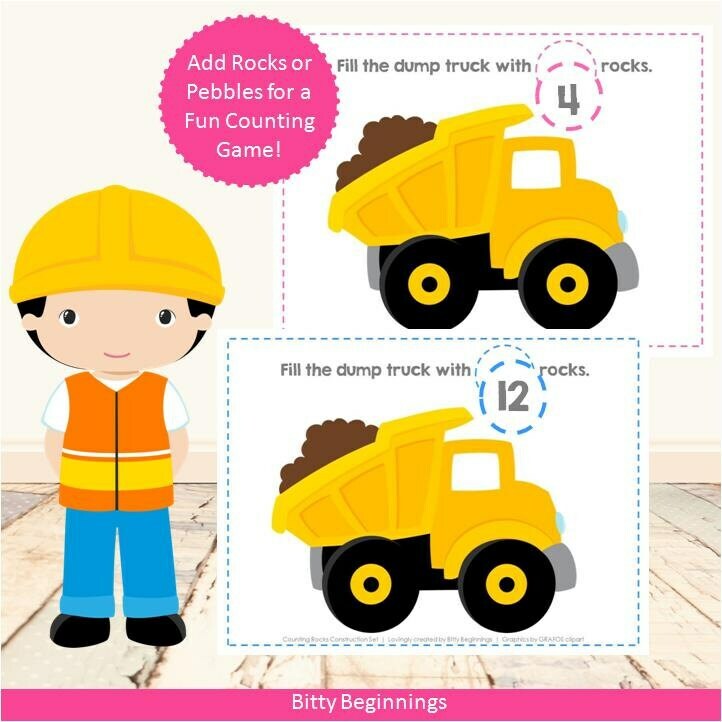 Encourage little ones to pick a number card, place the number card in the number circle on the play mat, & add that specific number of rocks to the dump truck. Play again! Graphics by GRAFOS clipart (https://www.etsy.com/shop/grafosclipart).